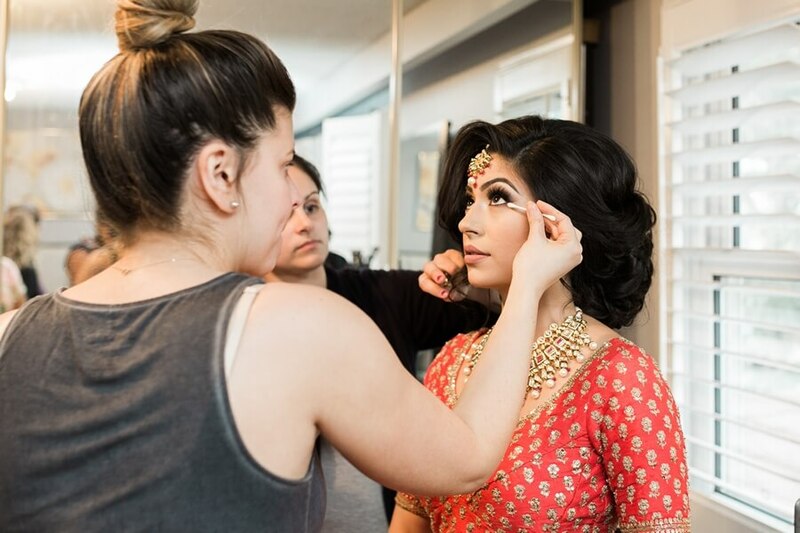 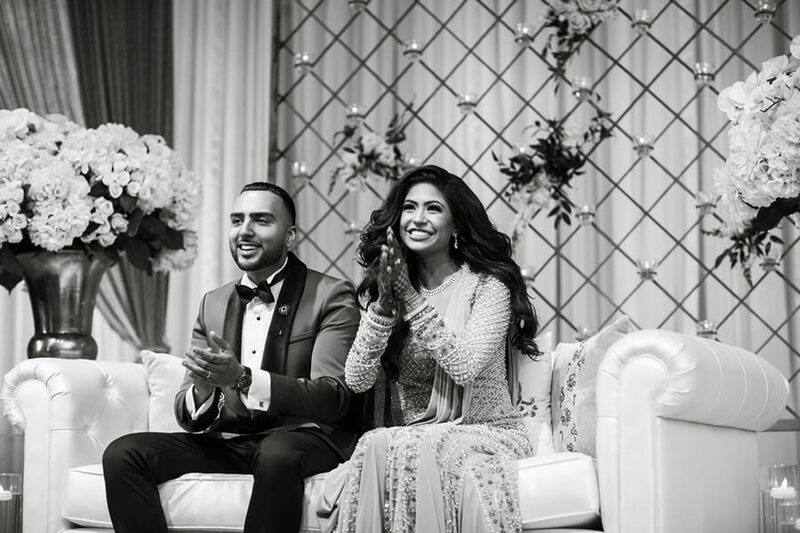 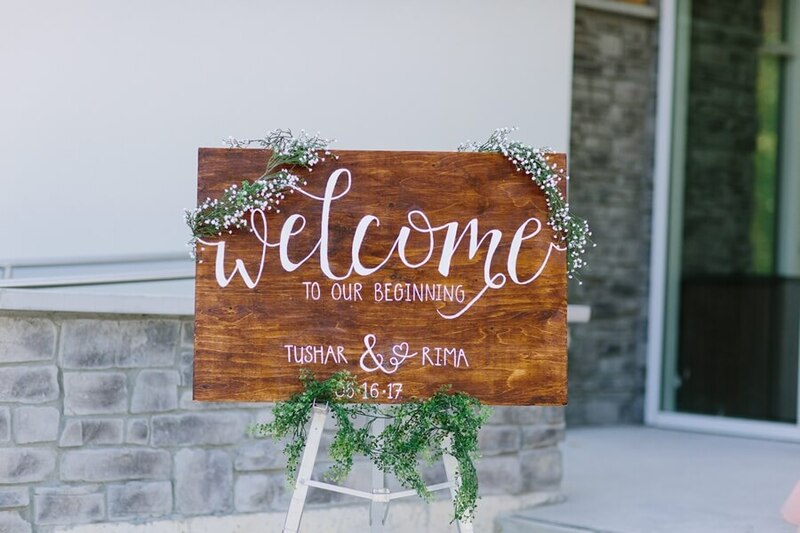 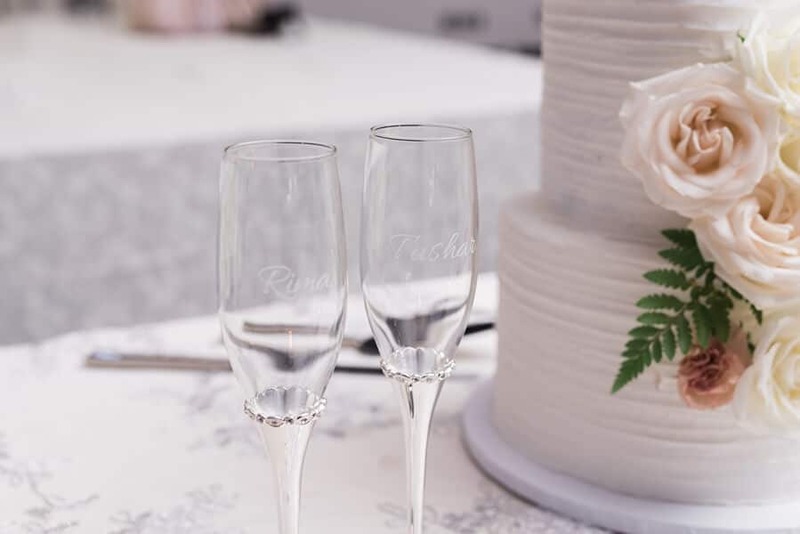 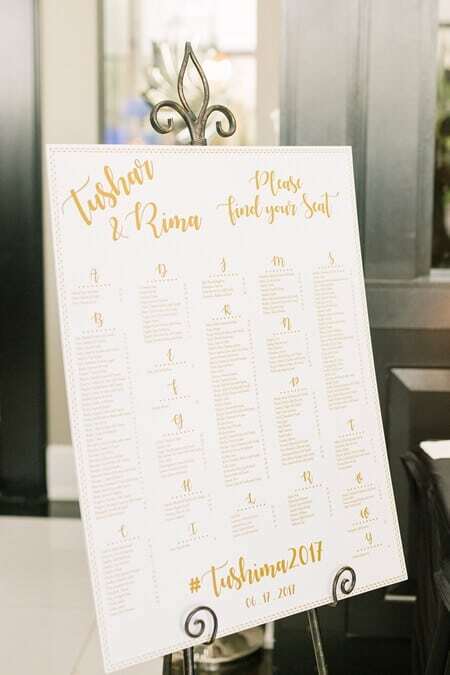 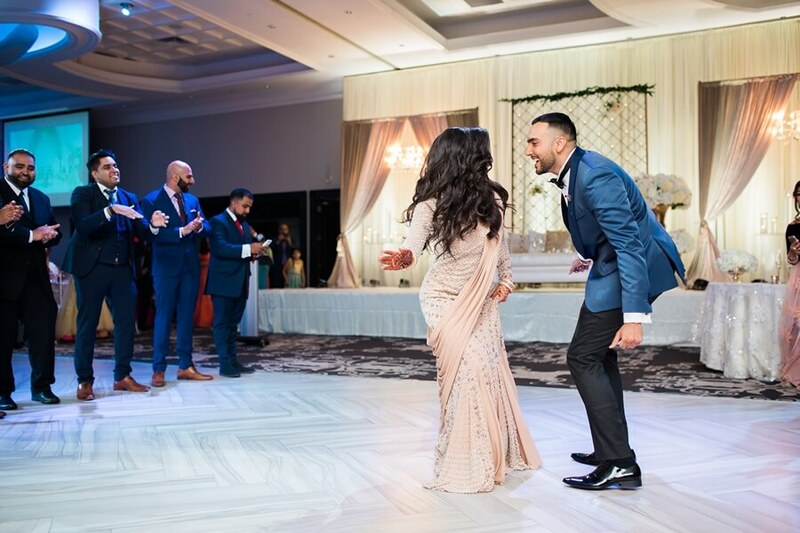 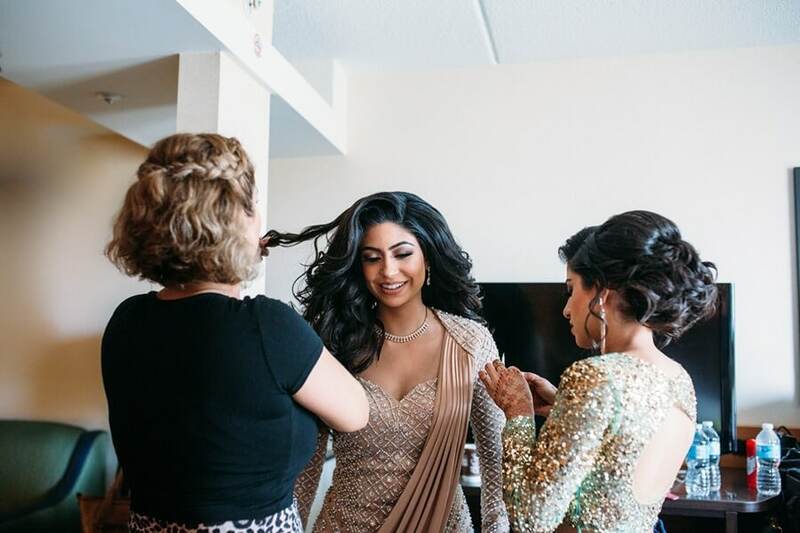 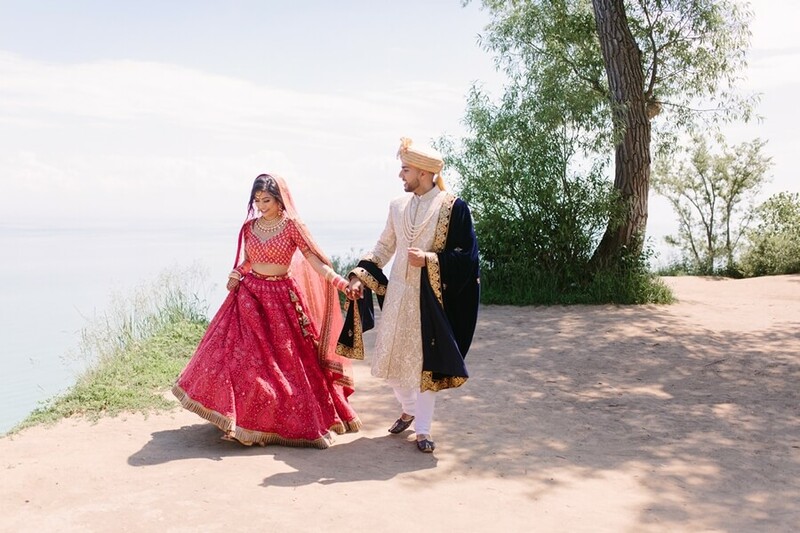 Rima and Tushar’s wedding is an elegant and spectacular two-day event that combined both traditional elements and glamorous touches. 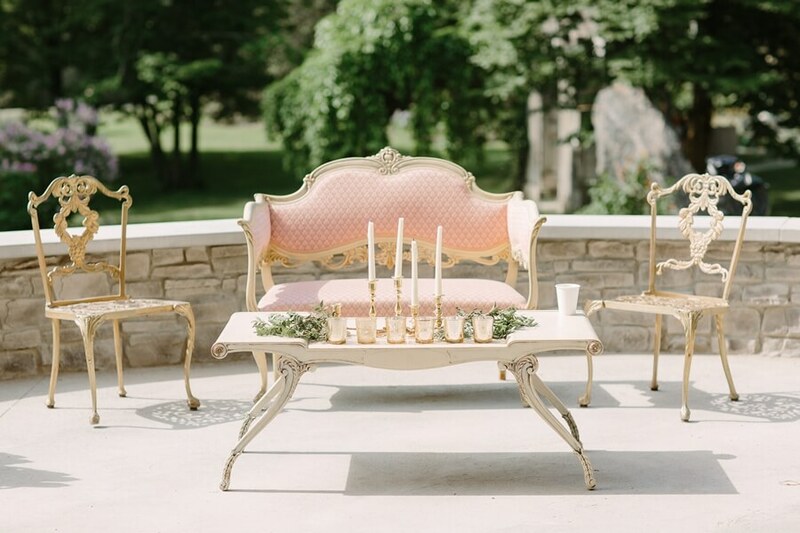 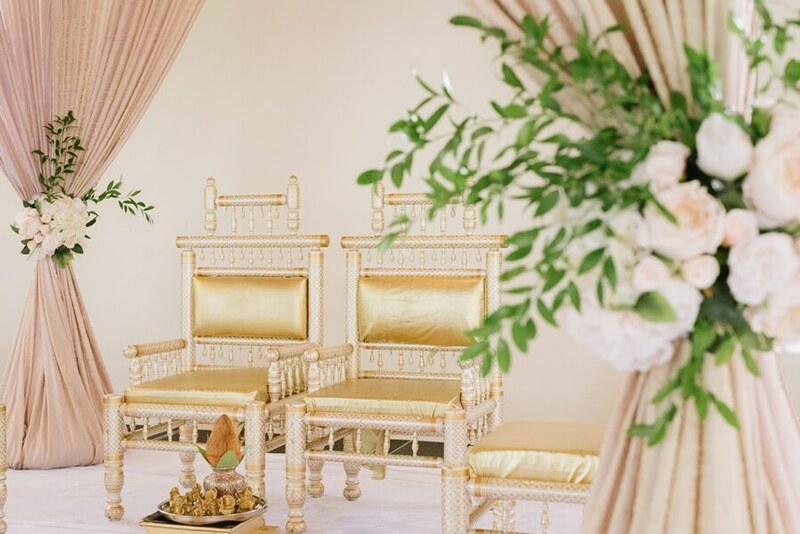 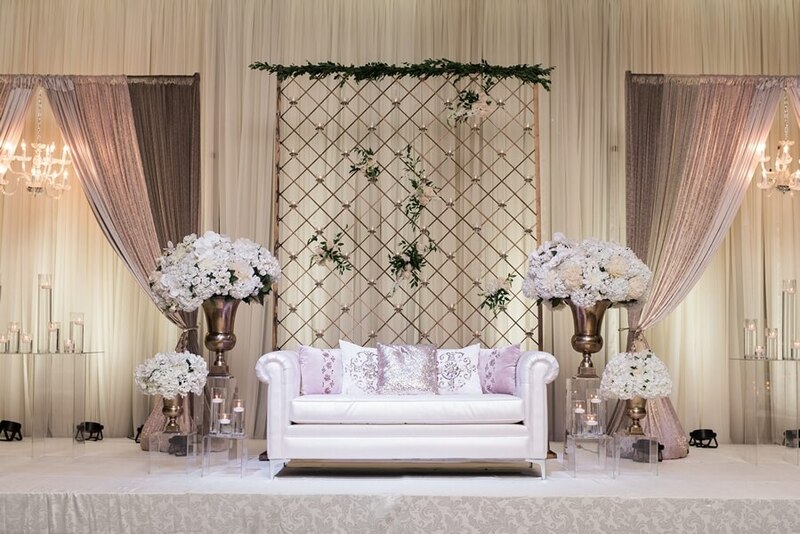 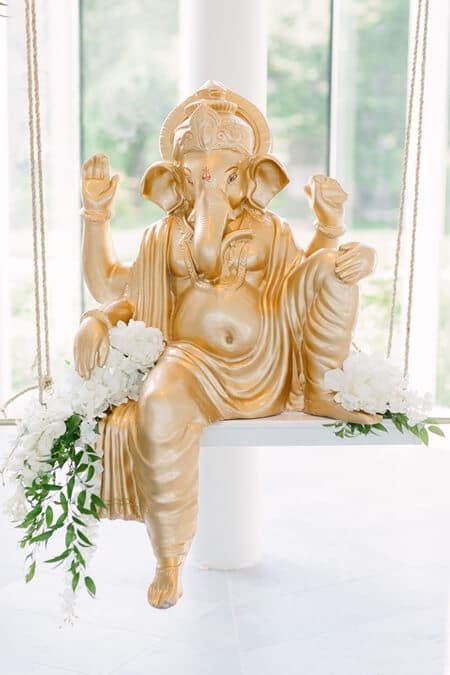 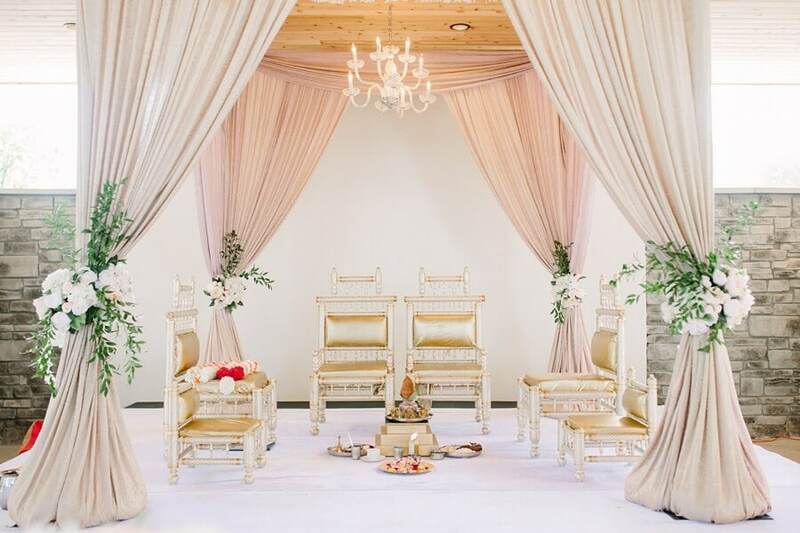 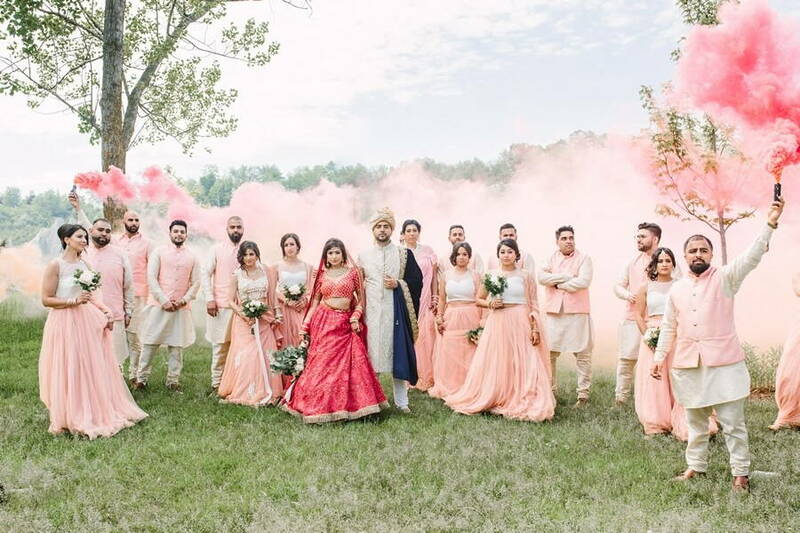 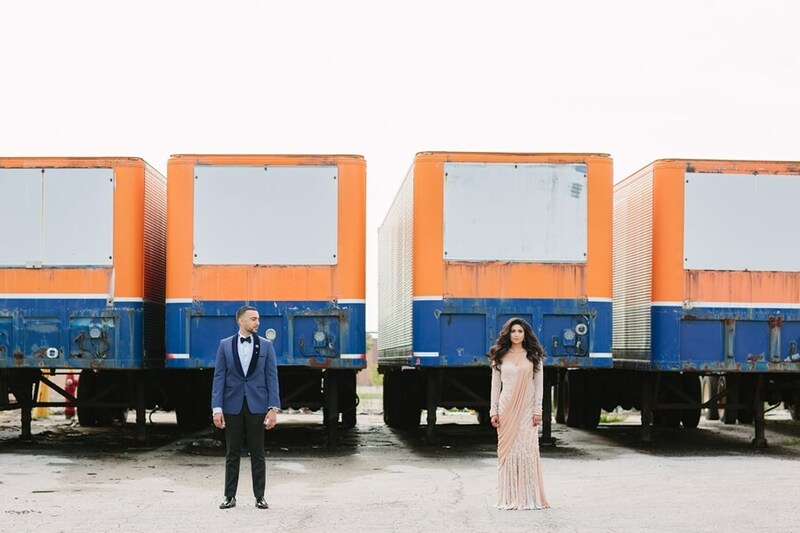 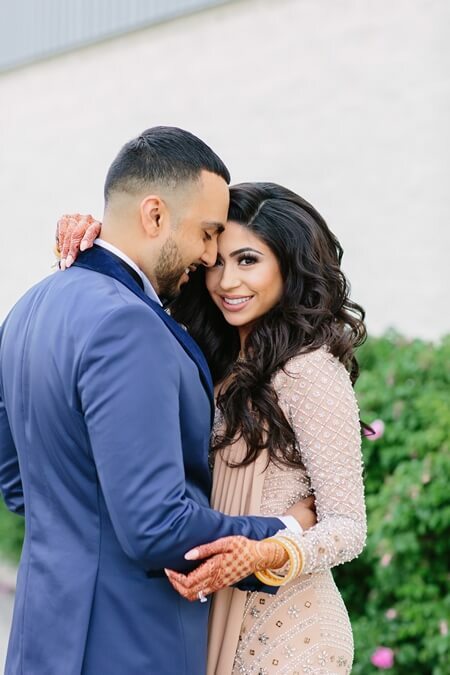 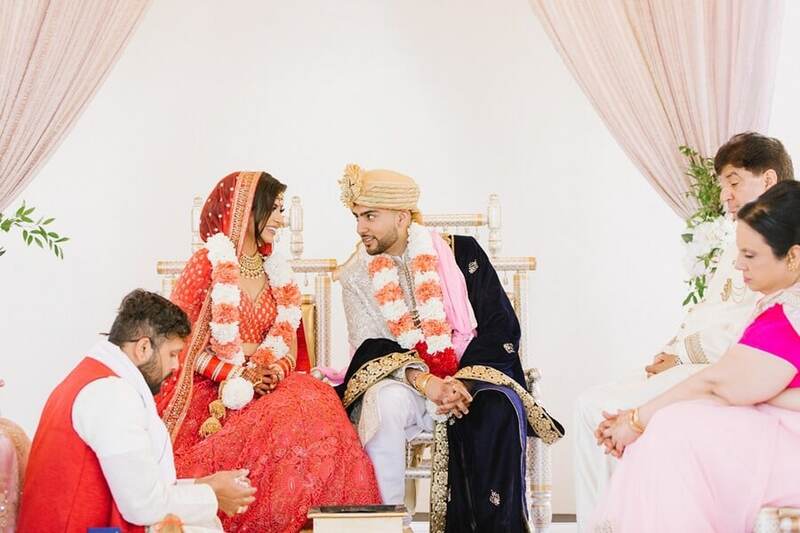 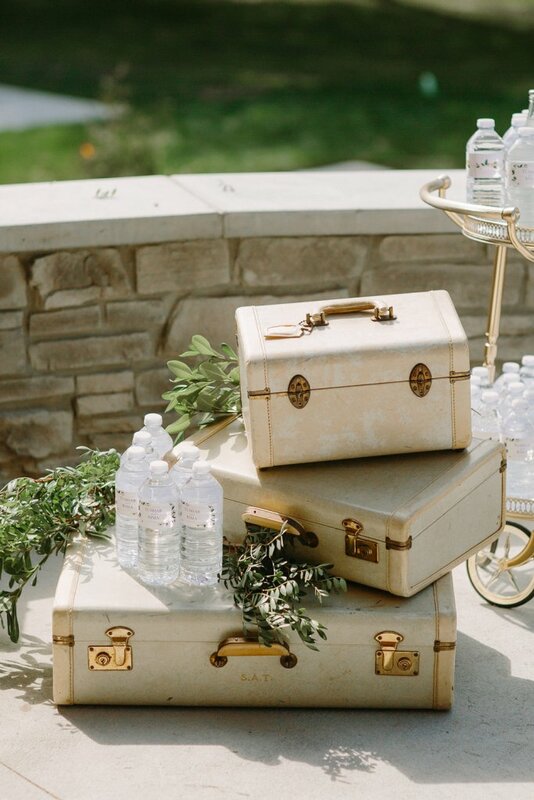 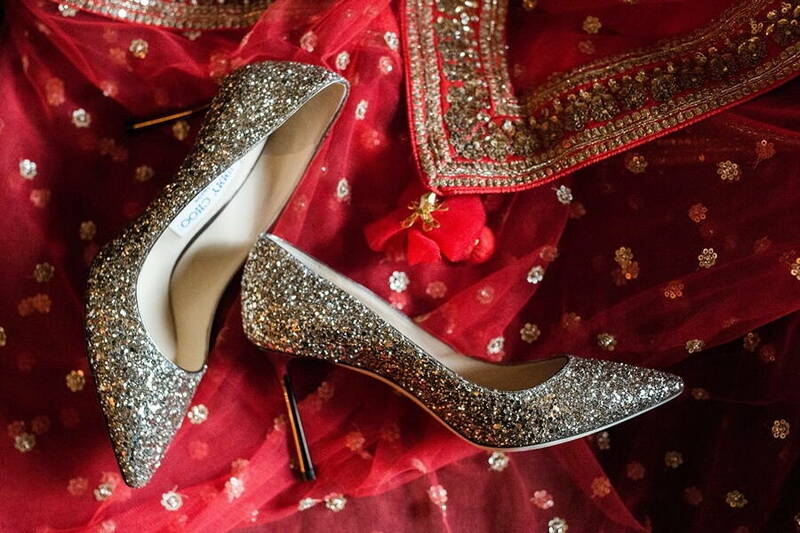 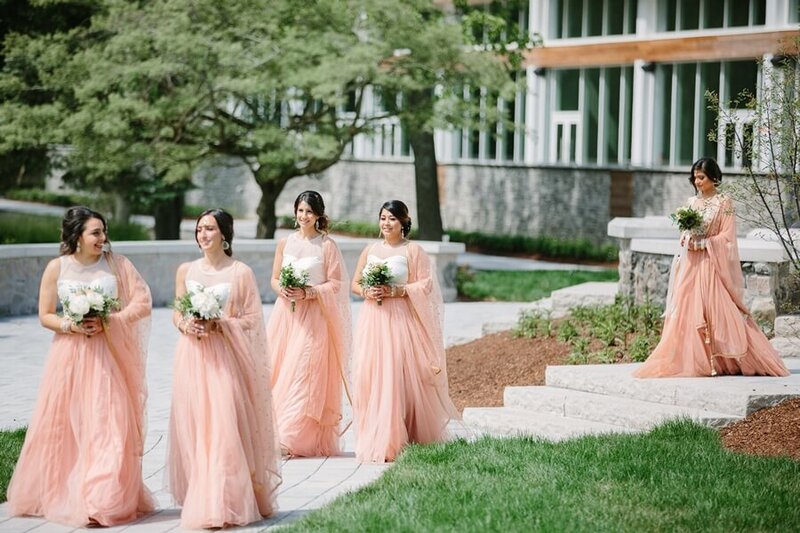 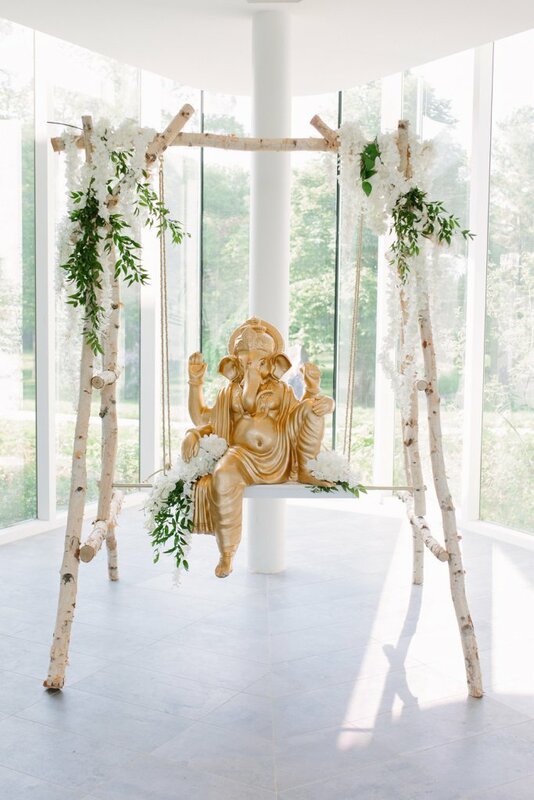 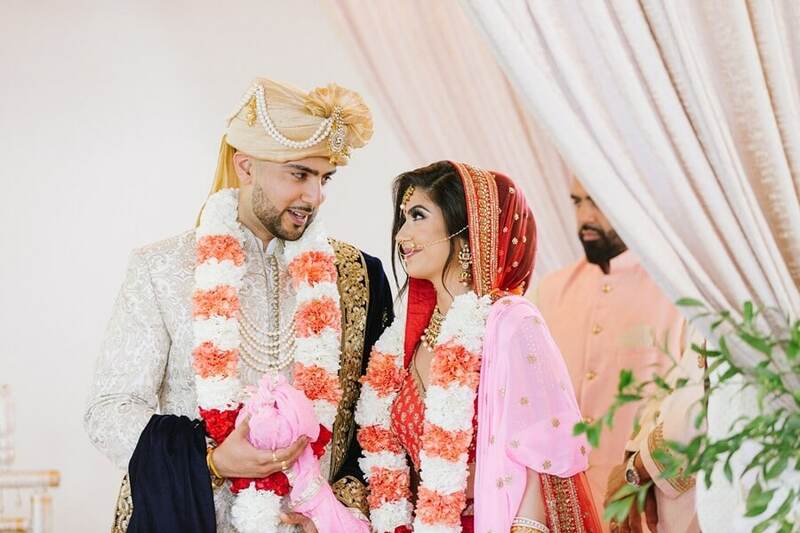 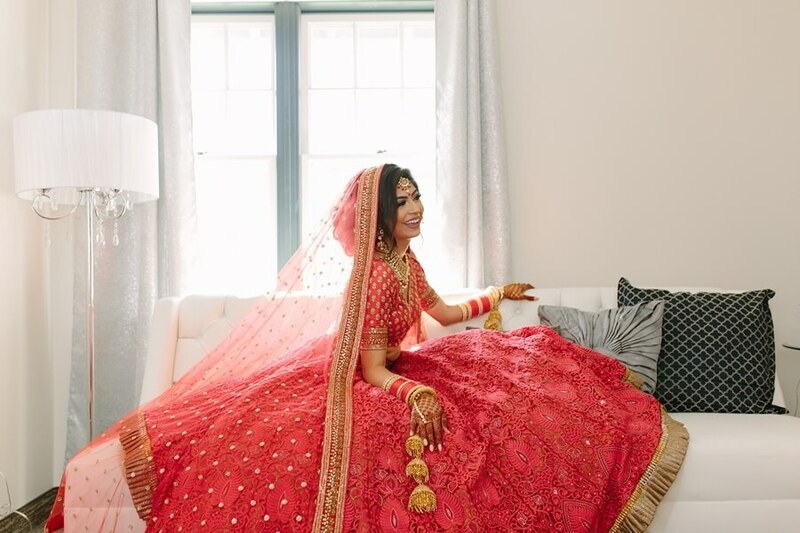 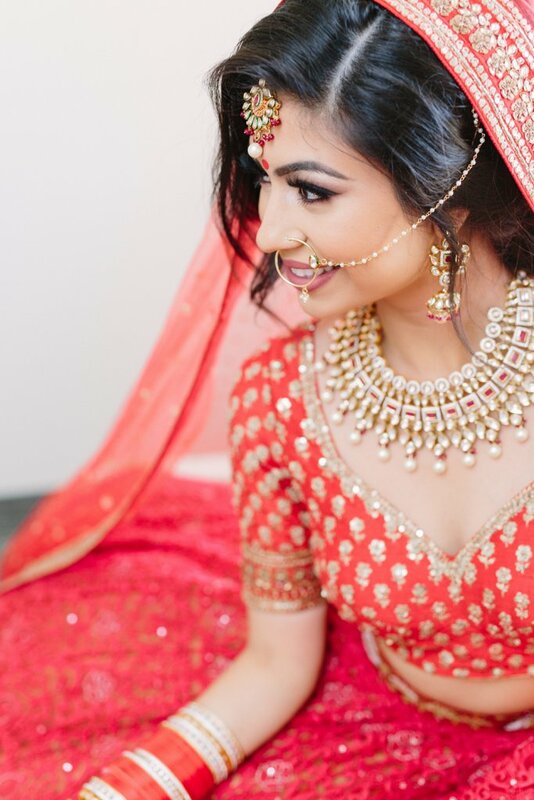 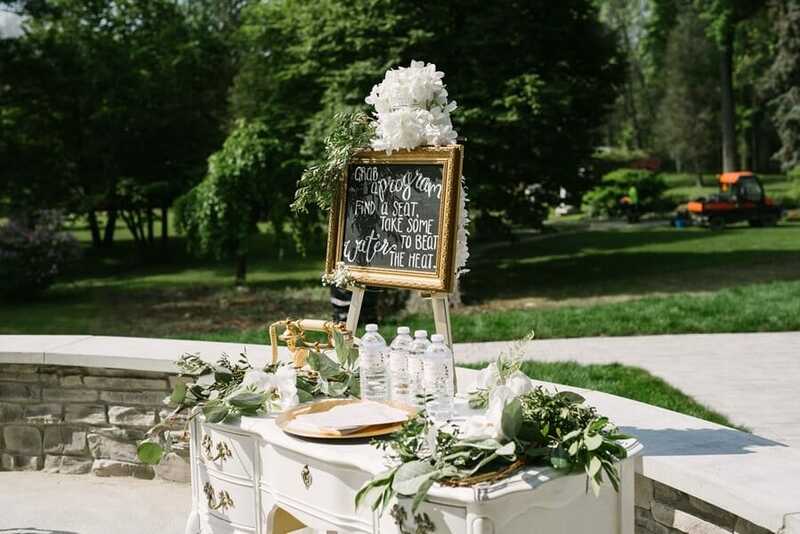 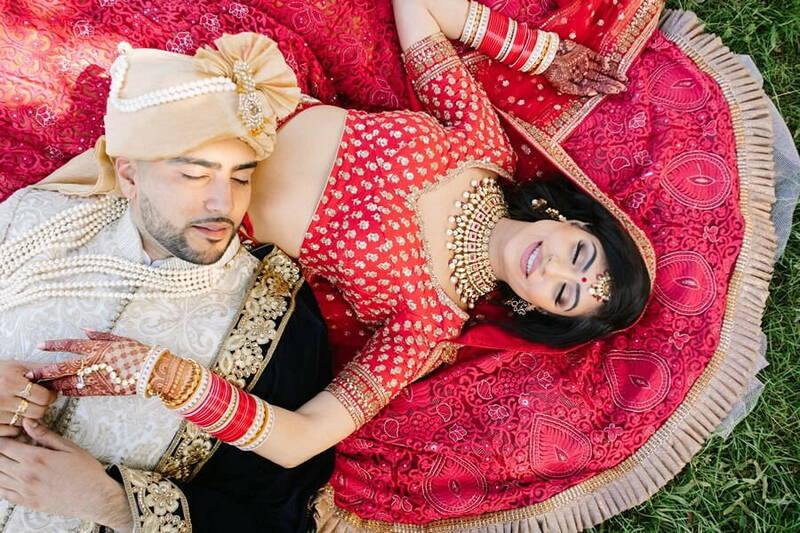 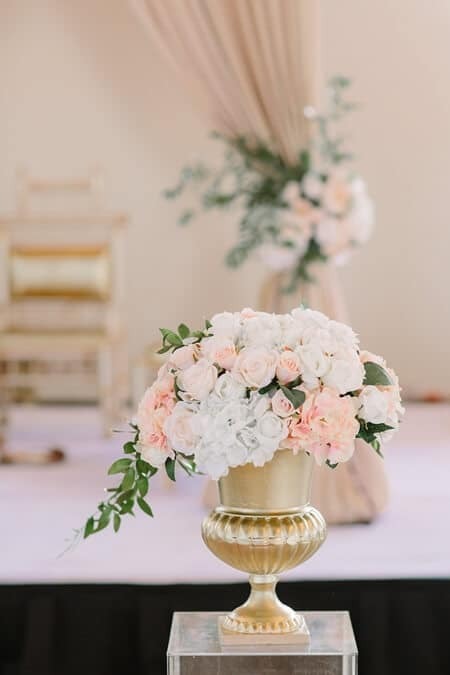 Beautifully coordinated by the talented Taj and Raj Events, this epic wedding took place at the scenic The Guild Inn Estate and Apollo Convention Centre. 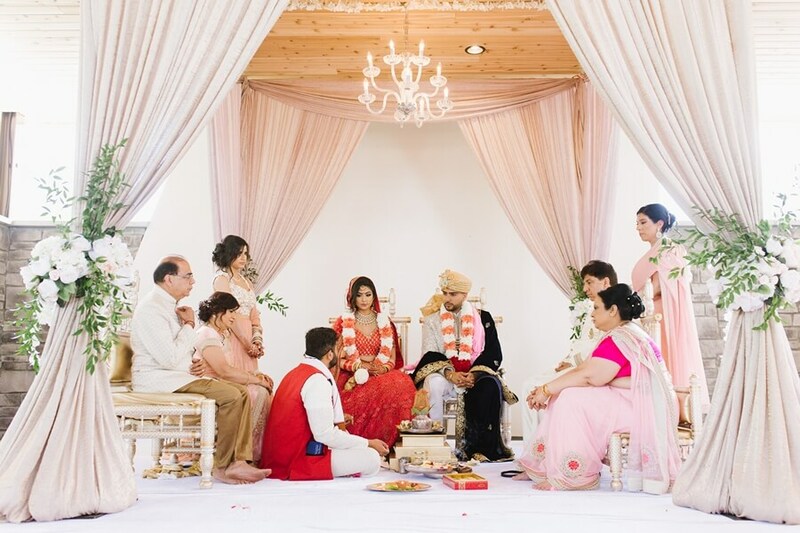 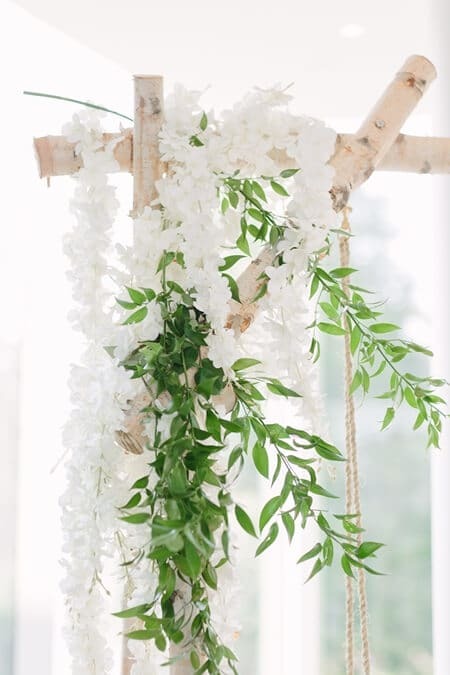 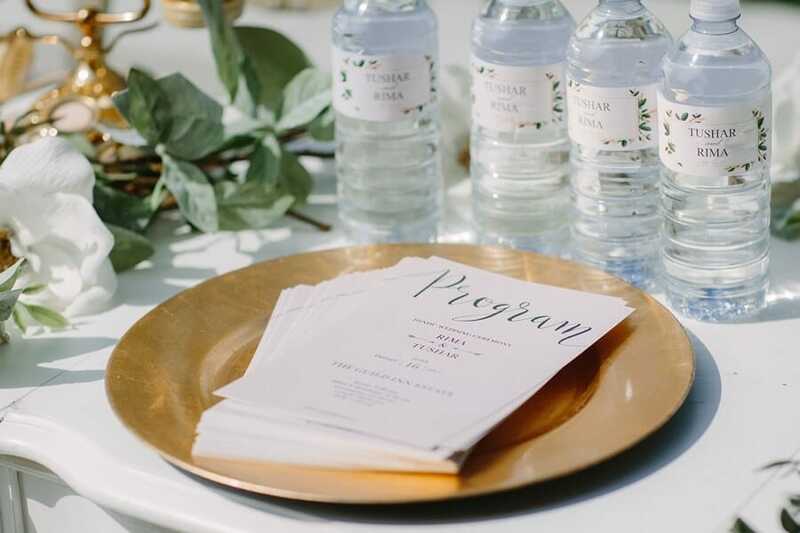 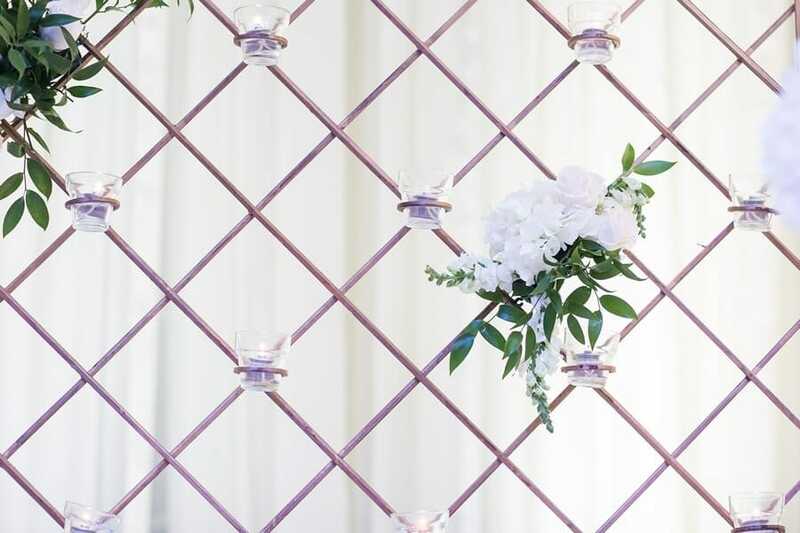 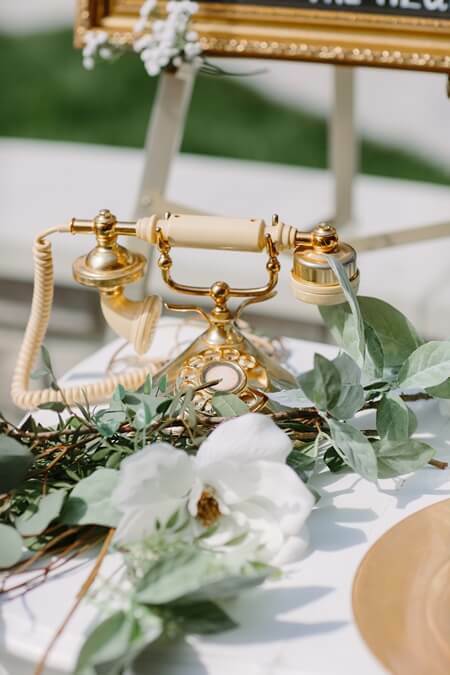 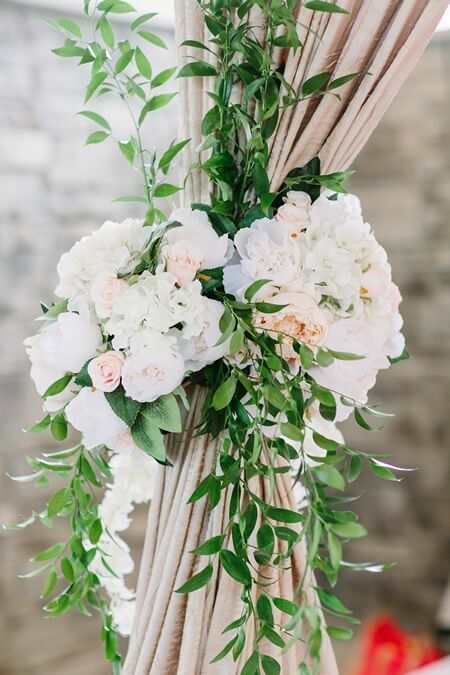 With a gorgeous rainbow palette of colours and lush florals, plus personal details, this gallery has it all. 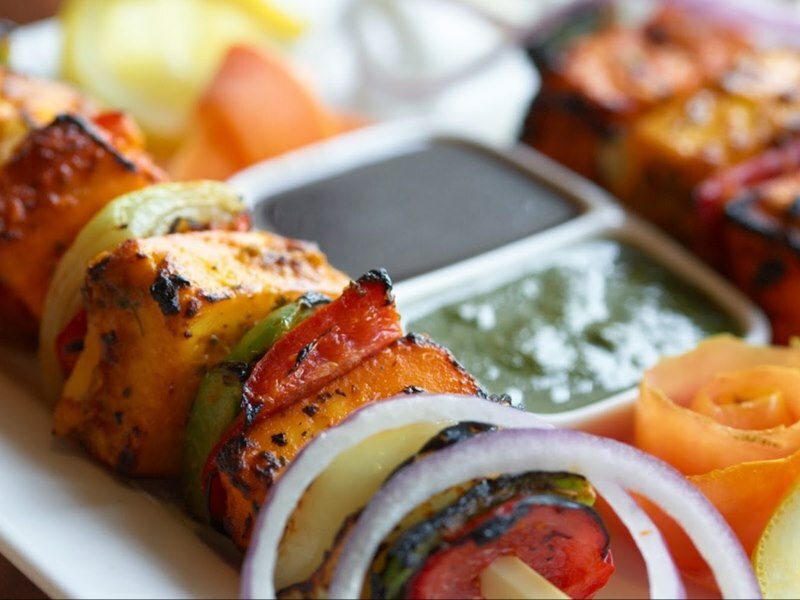 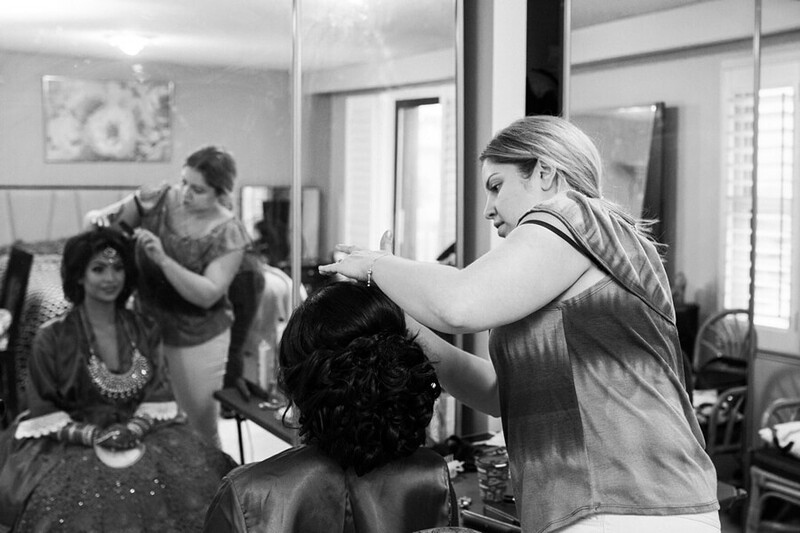 Snapped by the talented lens of Lindsie Grey, you won’t soon forget this one! 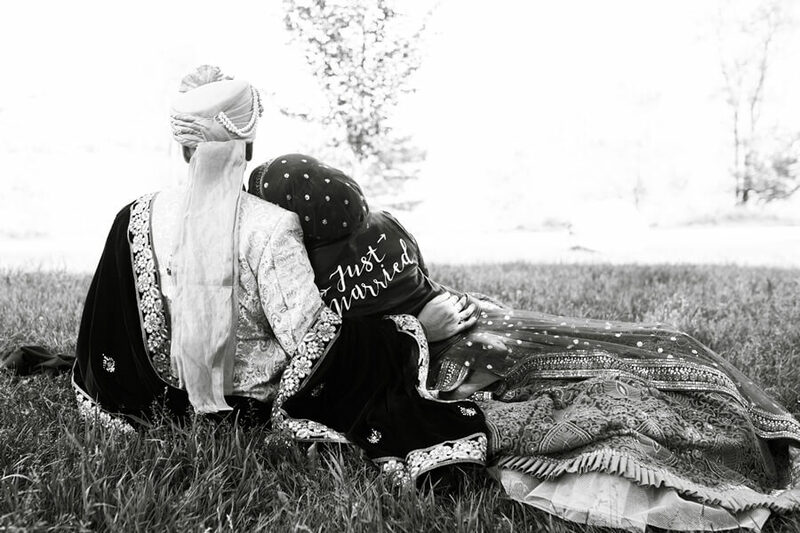 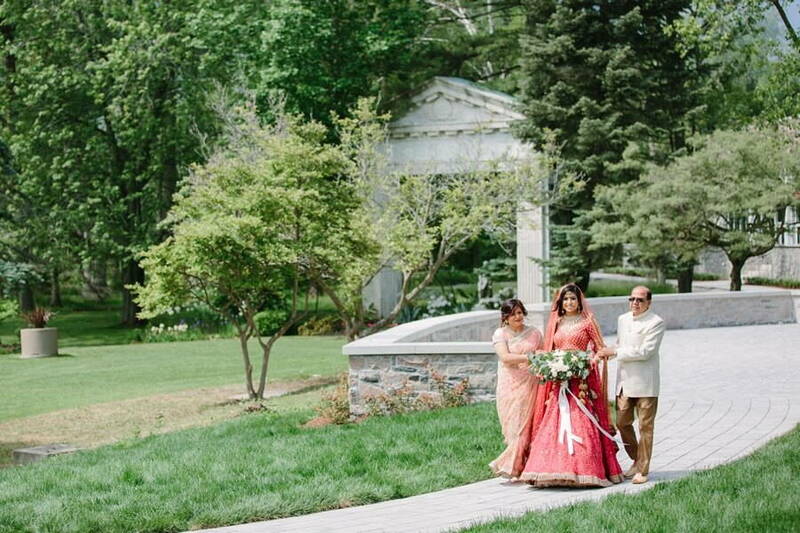 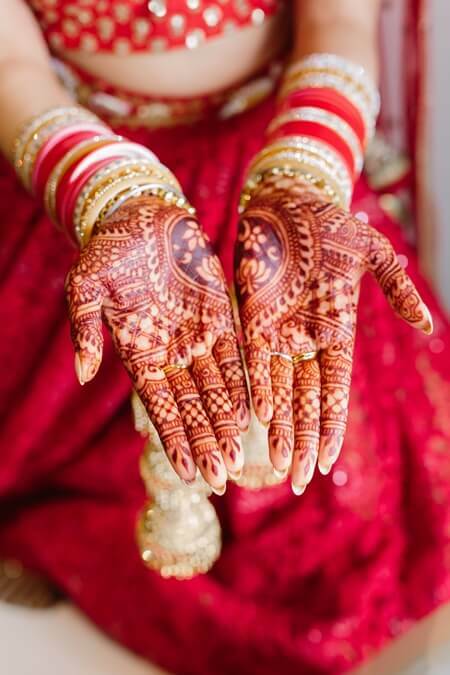 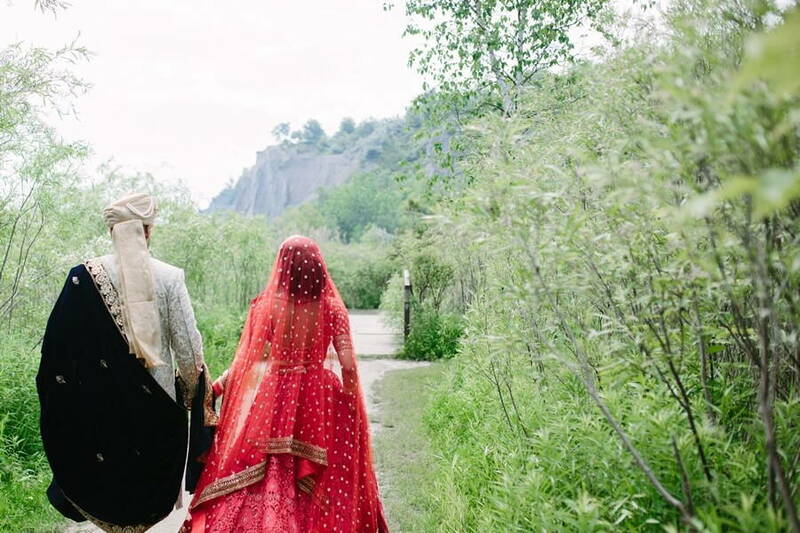 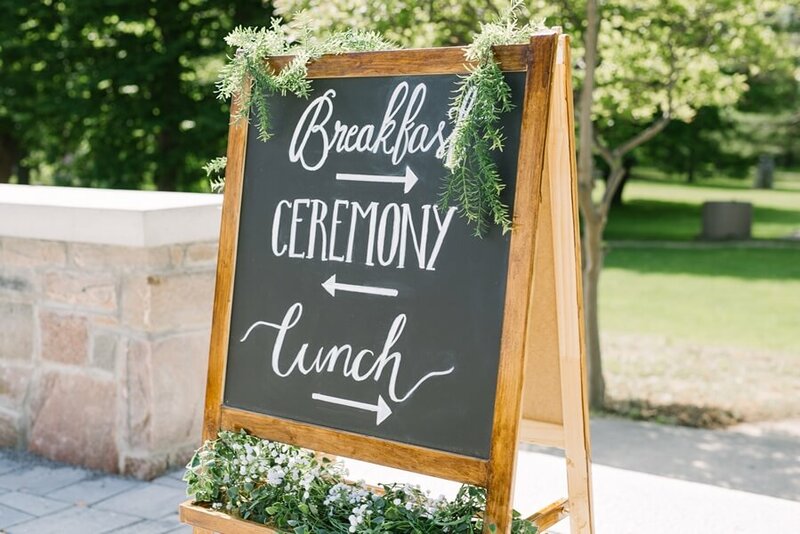 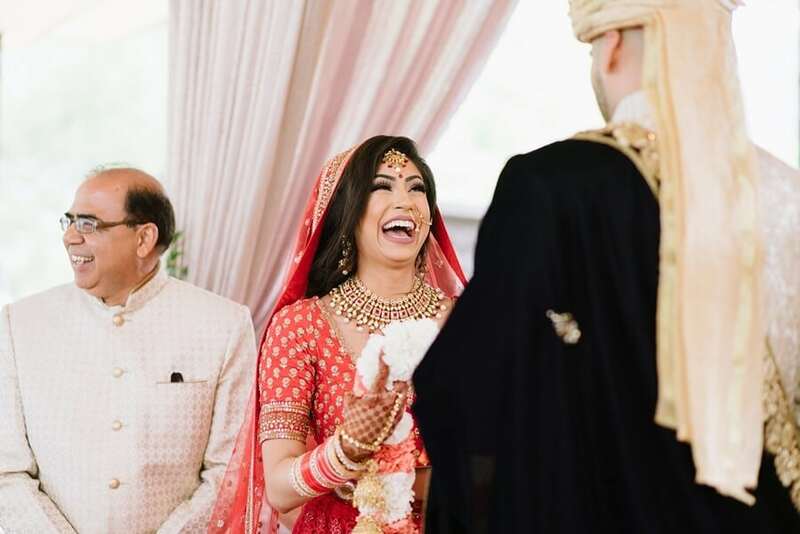 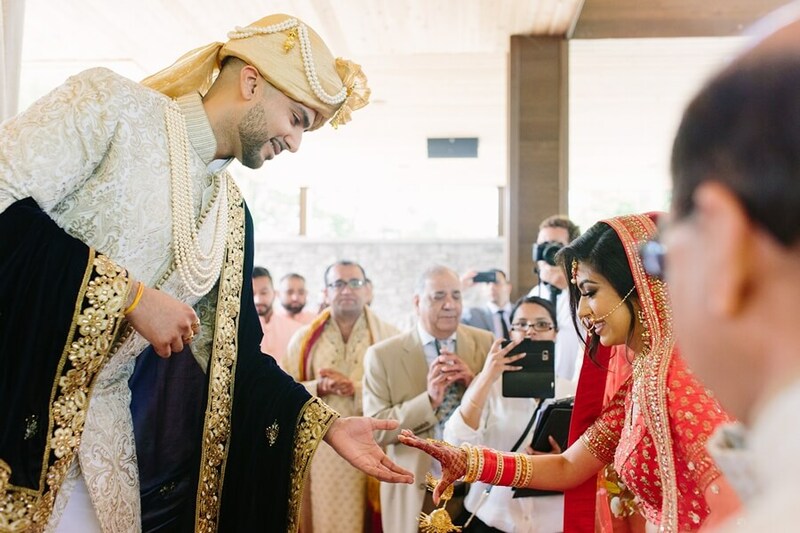 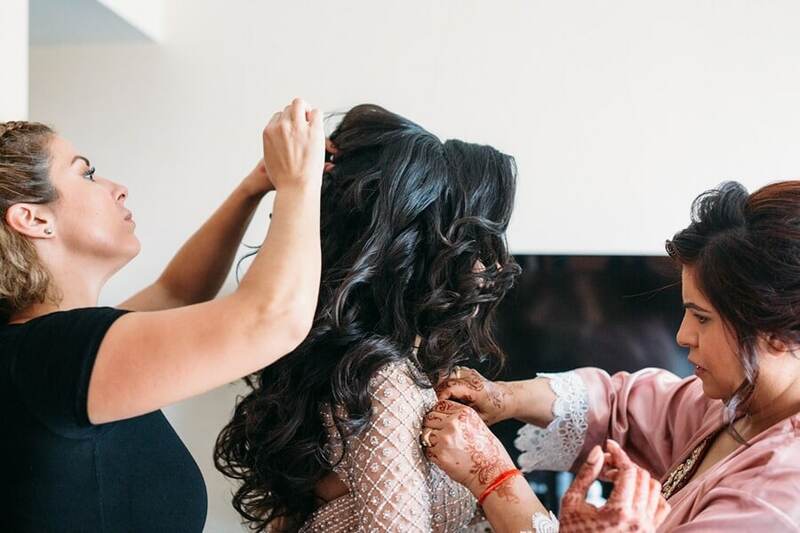 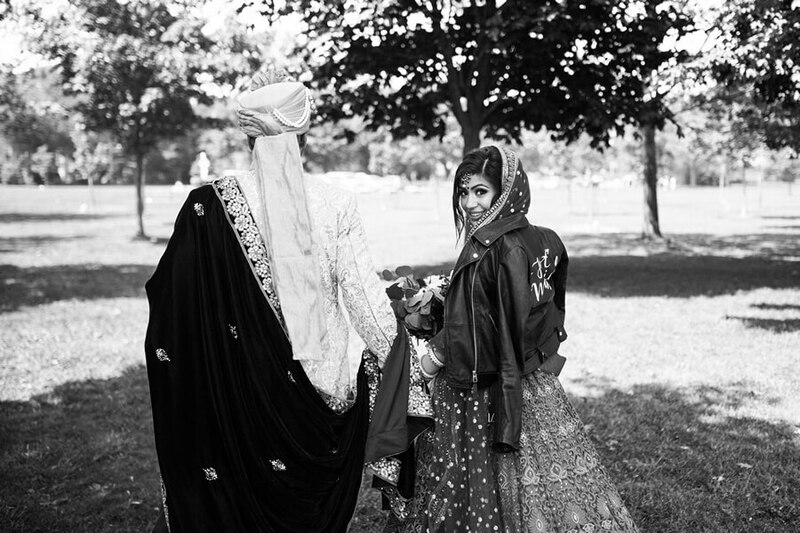 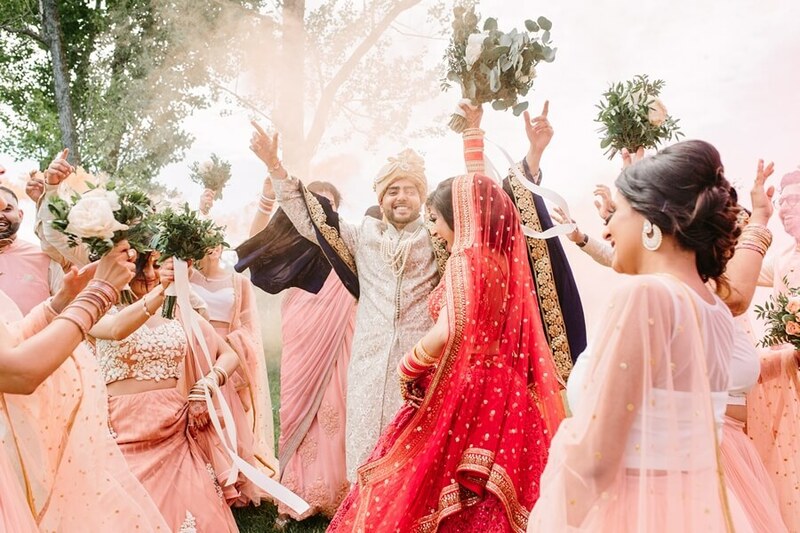 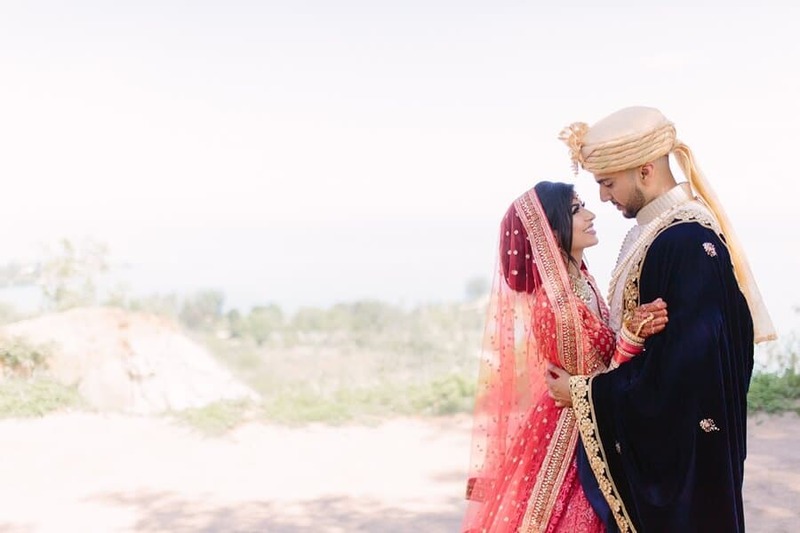 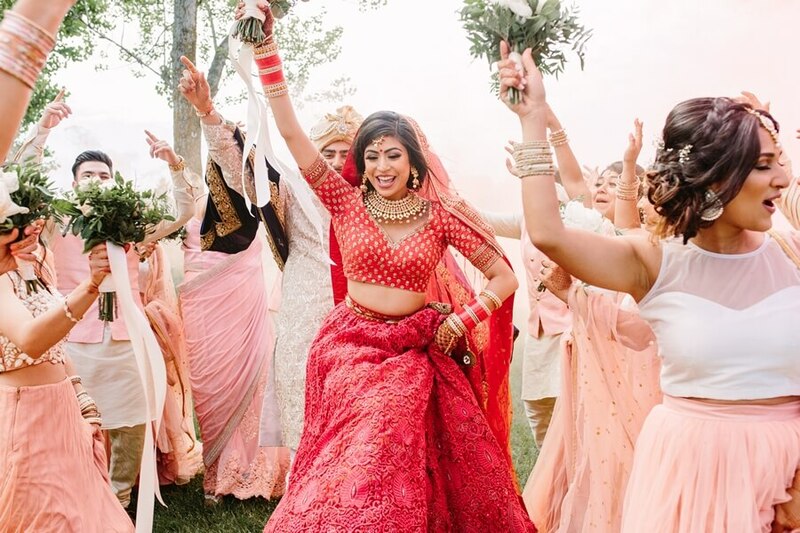 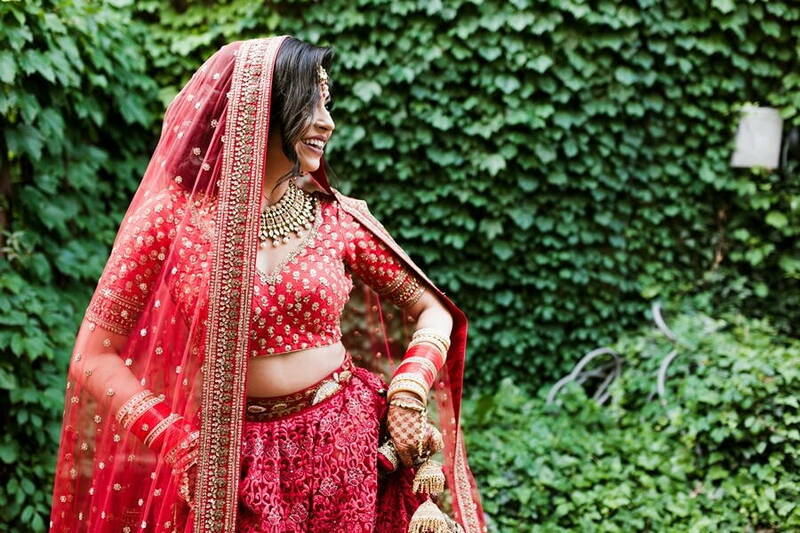 Day one of the couple’s wedding leaned towards the traditional, including their rich and vibrant Indian attire and a sophisticated tent amidst the natural greenery of the setting at the Guild Inn. 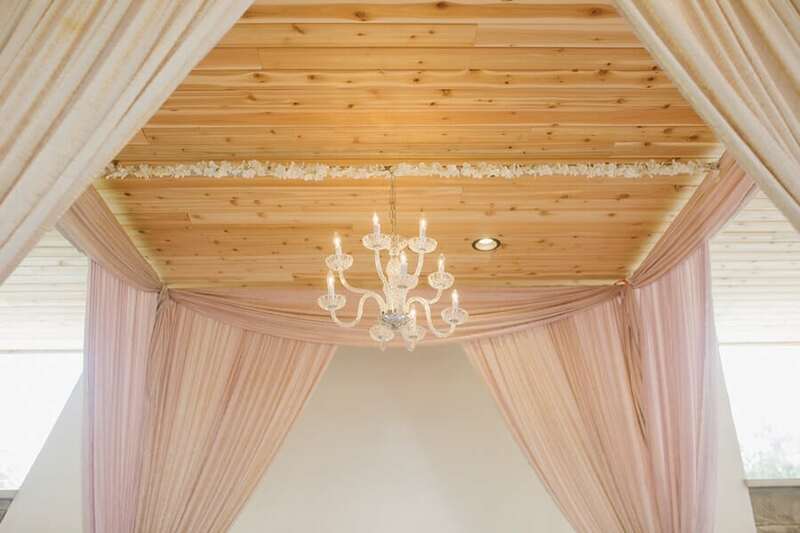 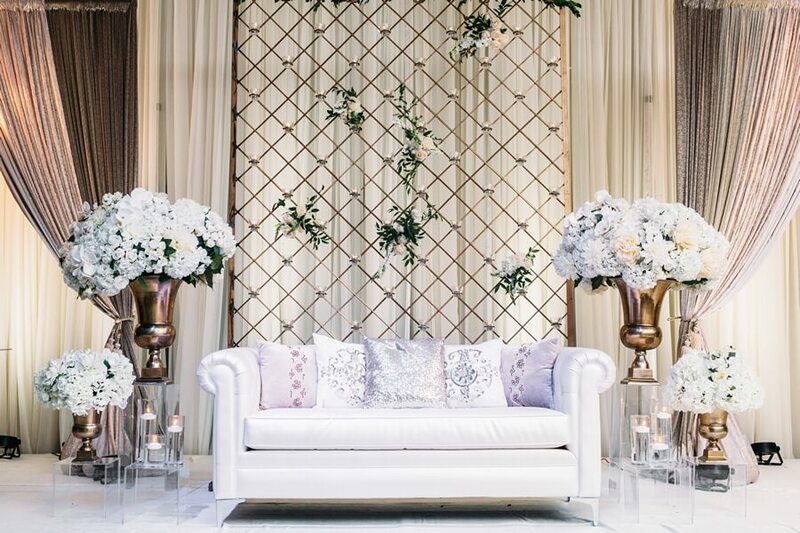 Metallic and whimsical touches from Xclusive Designs made for a stylish yet intimate ambiance. 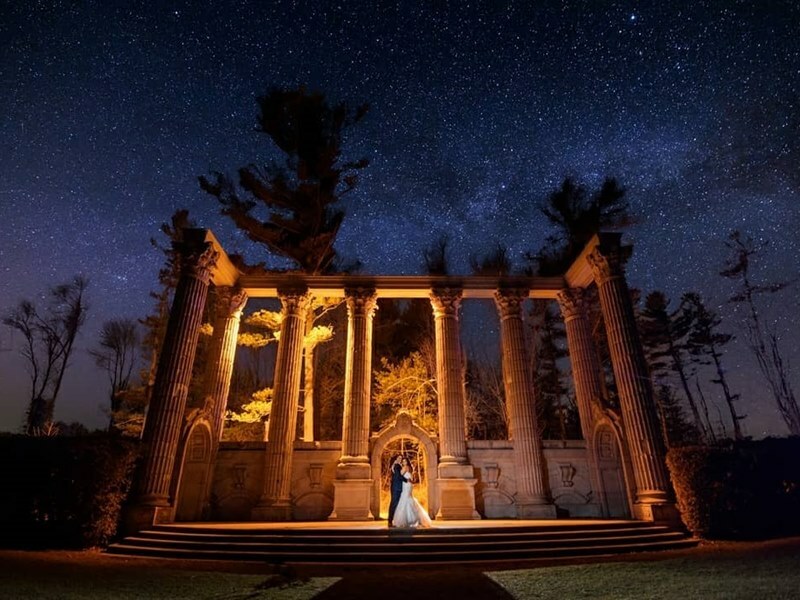 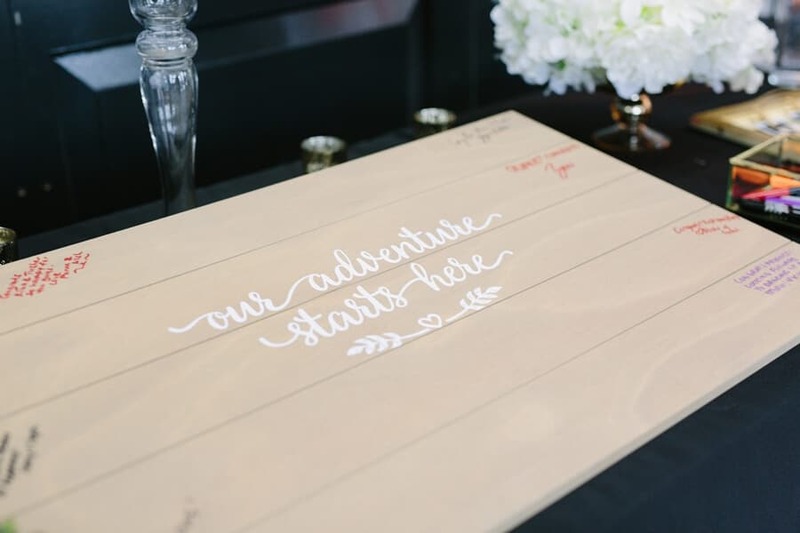 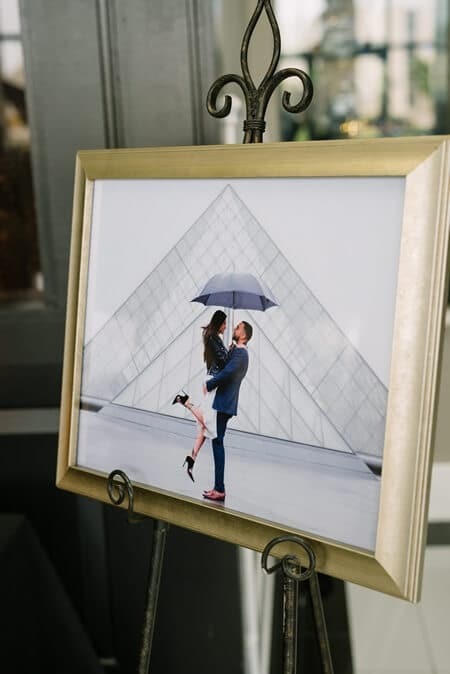 The newlyweds’ romantic photo session is filled with stolen moments and beautiful scenery! 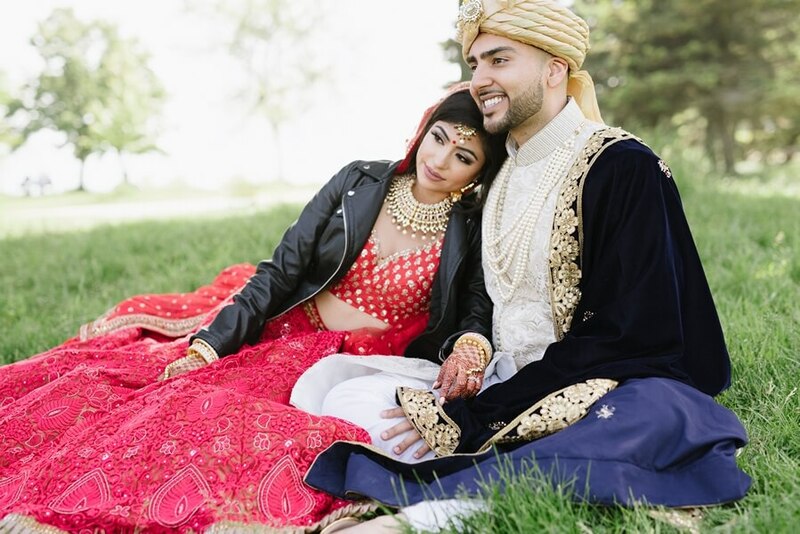 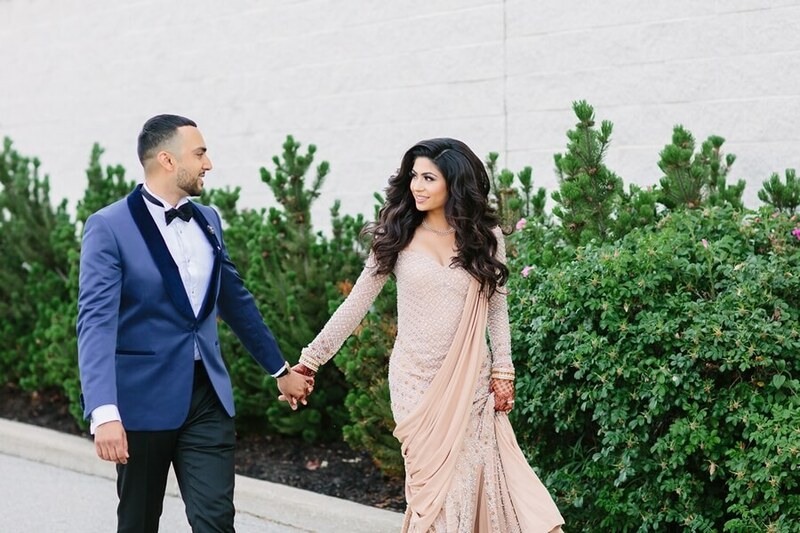 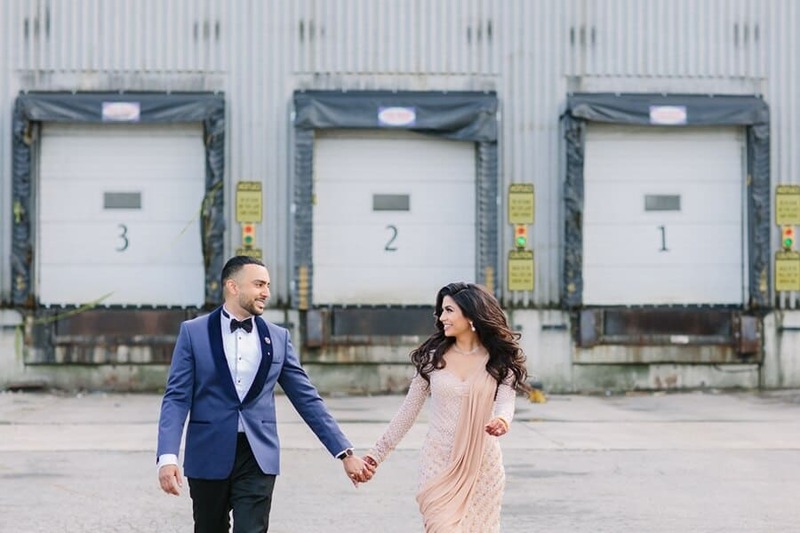 The legendary “Just Married” leather jacket (that has quickly become a Toronto favourite) added a modern spin on the bride’s beautiful, traditional gown. 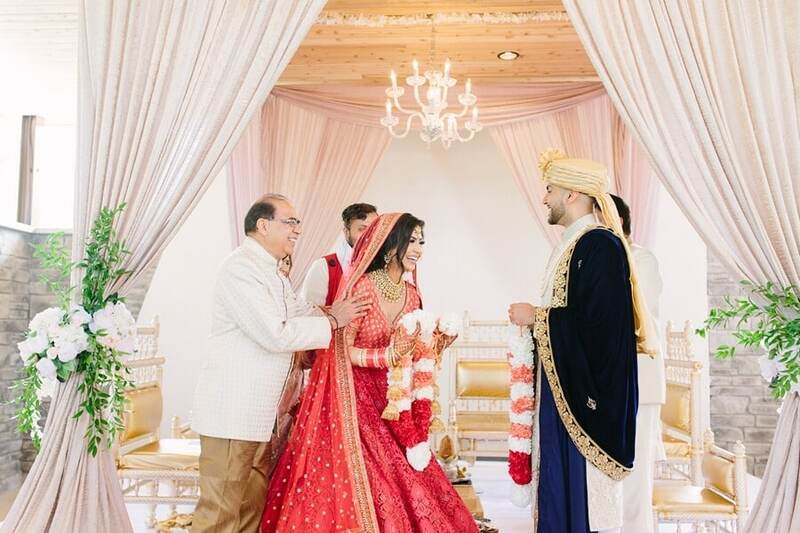 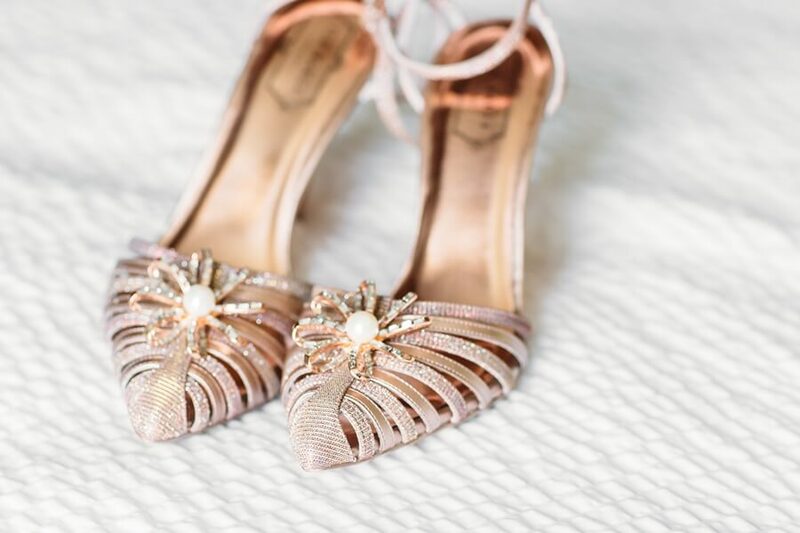 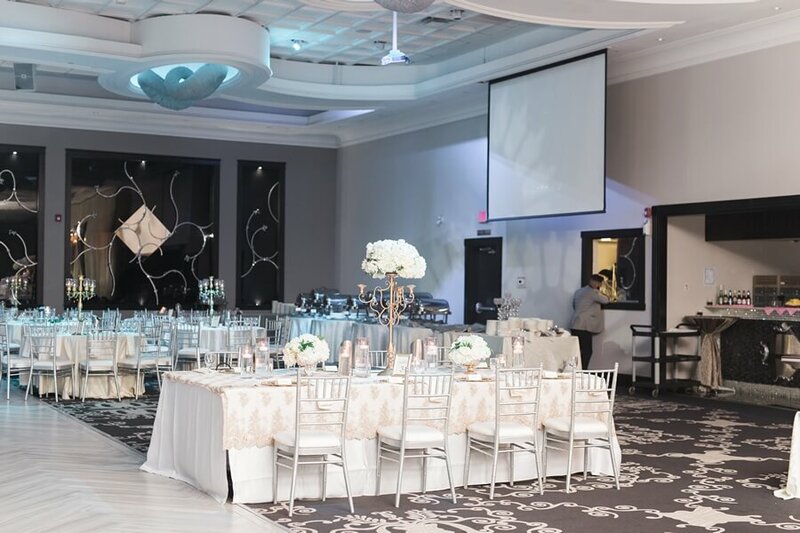 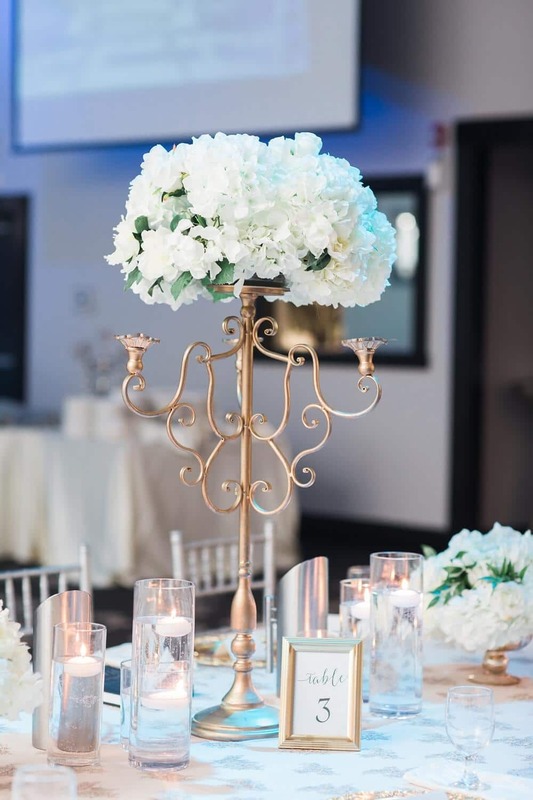 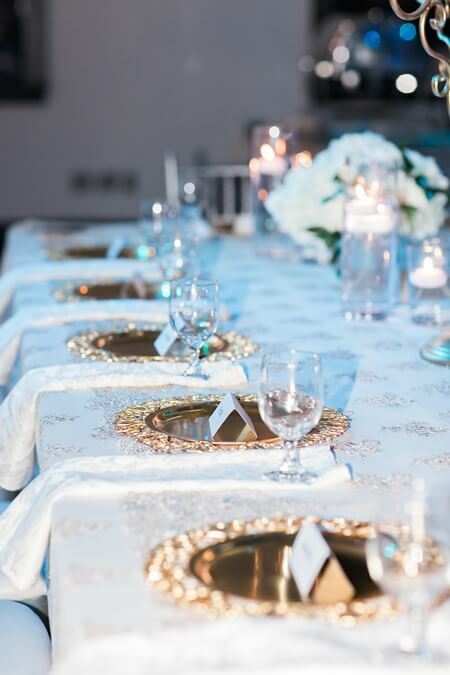 The second day of the couple’s wedding at the Apollo Convention Centre was a showstopper of an event with pops of blue against a neutral palette with dazzling gold accents. 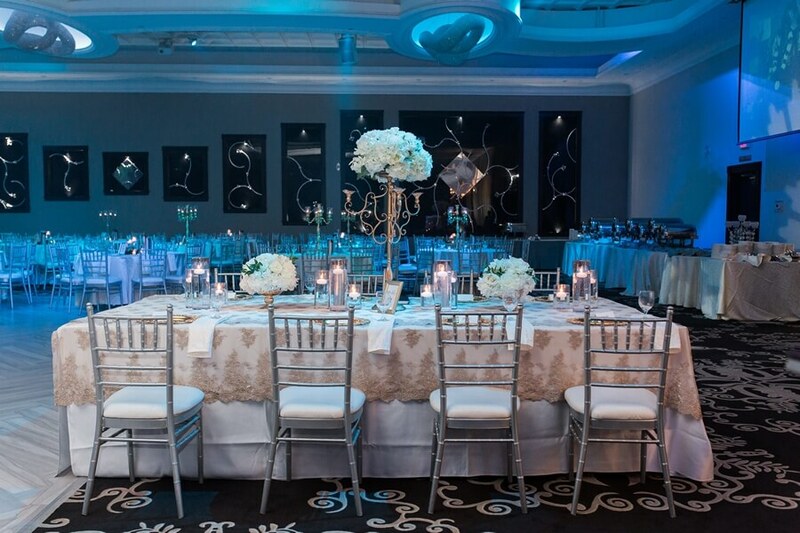 Going for a more contemporary night, this reception was a stunner. 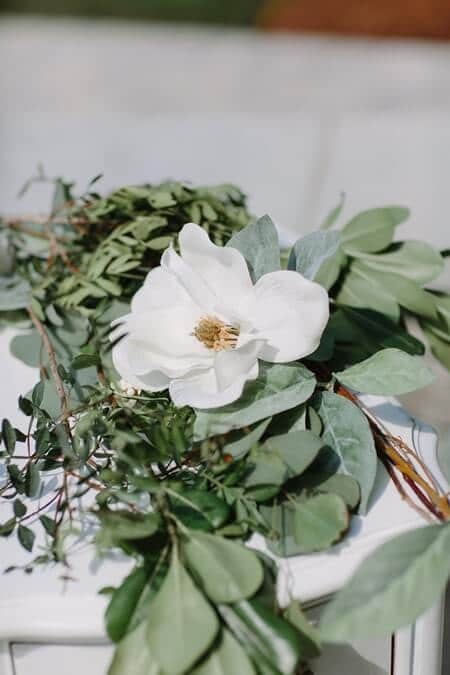 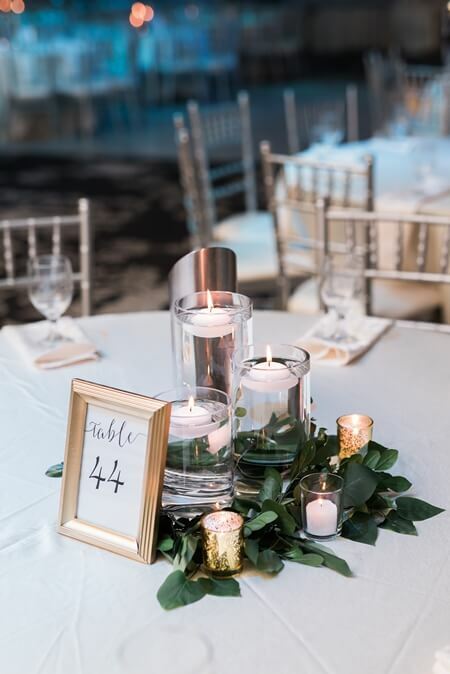 Beautiful blooms amid romantic candlelight, a chic blue hue, and a ton of personal style was evident throughout the night. 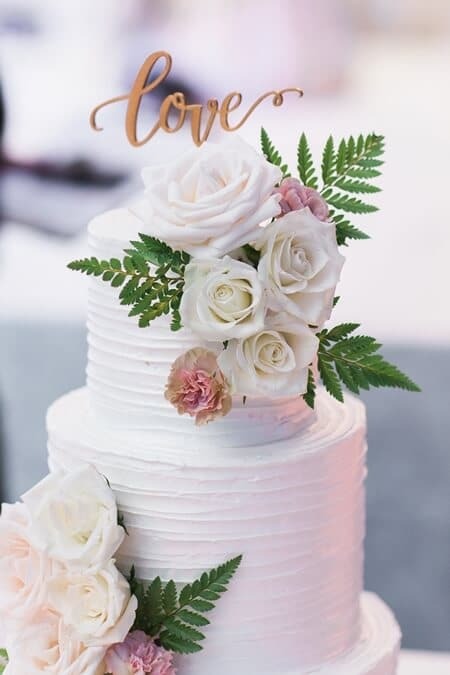 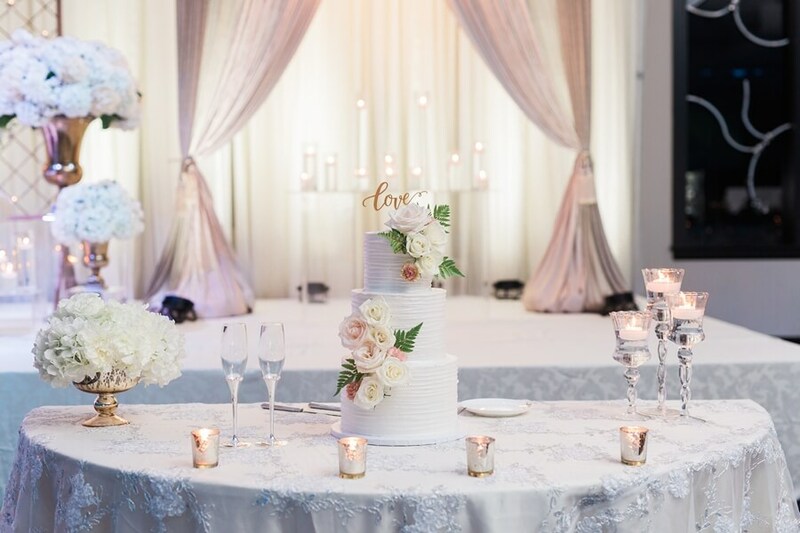 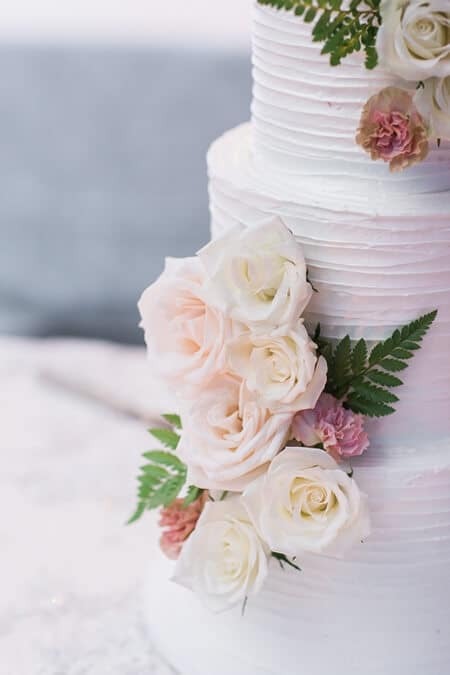 A stunning cake from Sammy Cakes and dancing capped off the weekend of love.